We're going to be "that" family. The family that has an alternative Christmas tree. Post-last-Christmas season, I shared the crazy that goes down in our house with the arrival of a Christmas tree. To sum up: a small disaster. So for this year, I decided to re-think the whole situation and try something new. 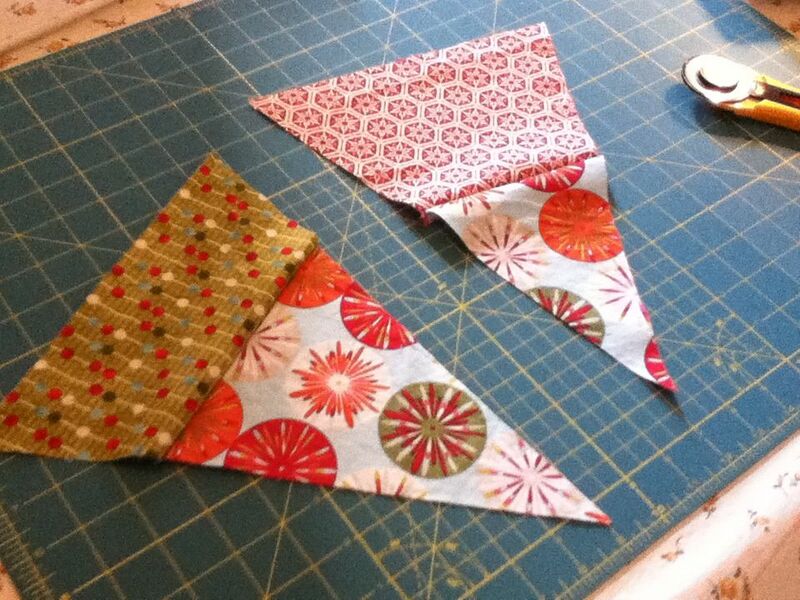 Enter the idea of bunting flags. 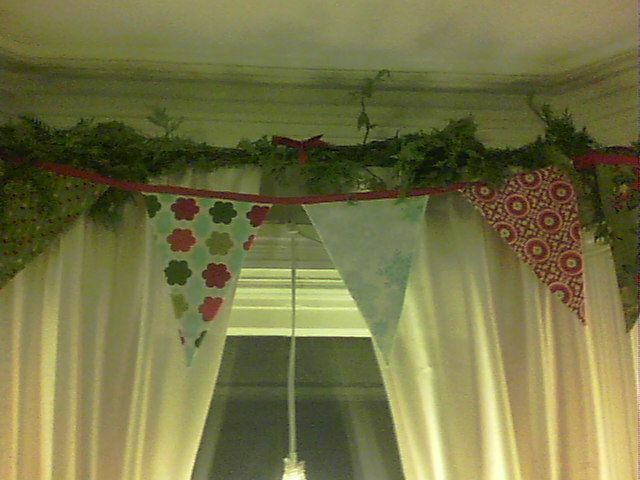 (For those not into crafting/sewing trends, these are strings of flags of the type that I associate with used car lots, and nicer versions of these are remarkably hot right now as whimsical decor.) I still wanted greenery, and opted to combine the flags with a cedar garland. I had hoped to add lights and ornaments (this was in lieu of a tree, after all), but given the December we had I got Realistic and decided they could wait for next year. 1. 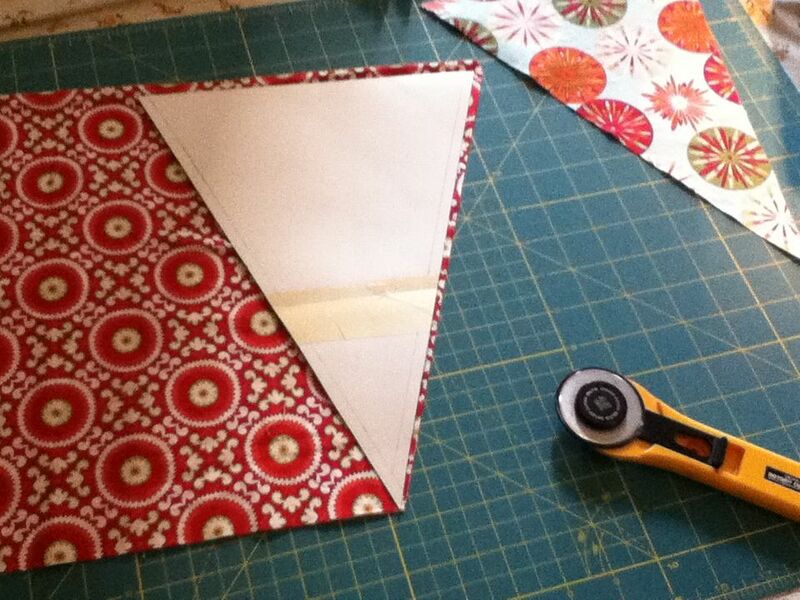 Make a template of the size flag desired including a 1/4-inch seam allowance. Mine was approximately 12 inches long x 6 inches wide at the top. TIP: Using a rotary cutter with a long acrylic ruler and cutting mat really makes this step go quickly. 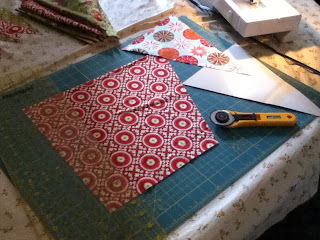 I got fancy with some and combined different fabrics. 3. 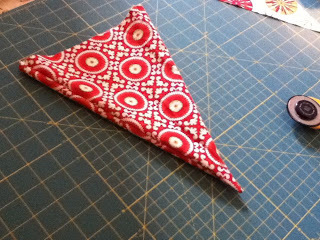 If the flags will be hung in a doorway or window, you may want to add a liner piece to any light-coloured patterned flags so that the pattern from one side doesn't show through on the other side. 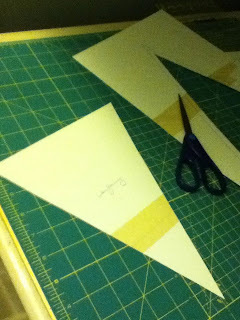 I simply cut plain white pieces from an old sheet using the same flag template. 4. 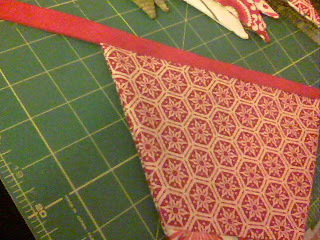 With right sides of the fabric (i.e. 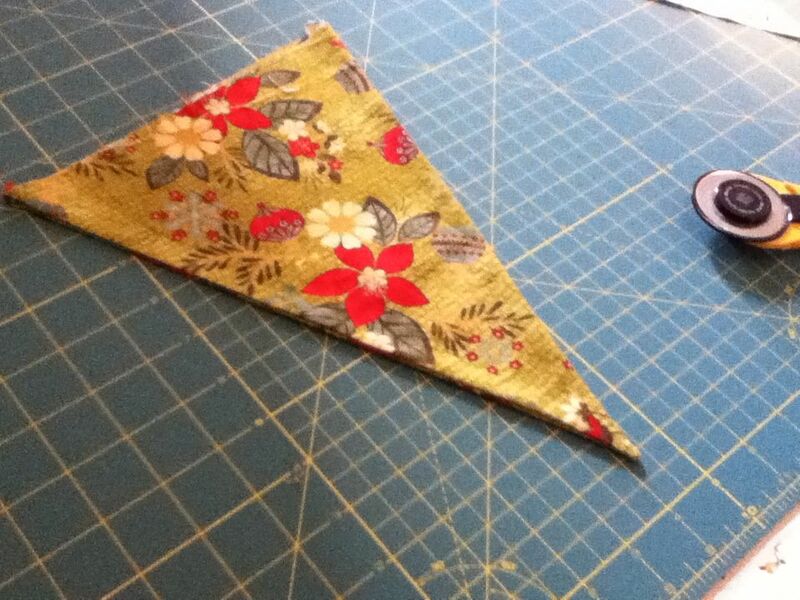 patterned sides) together, join two flag pieces by sewing along the two long sides. If including a liner piece, just add it on top of one of the flag pieces before sewing and stitch all three layers at one time. TIP: At the "V" where the two side seams meet, sew one stitch straight across instead of making a point. Oddly, this makes it easier to produce a sharp point when you turn the flag right-side out. 5. 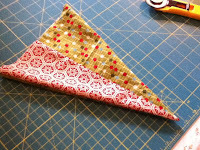 Trim the seam allowance close to the seam near the point. Then turn the sewn flag right-side out. (I used a wooden skewer to gently prod the narrow end into a point.) Press. 6. Repeat the above steps until you have enough flags for your desired length. Using double-folded bias tape (available at a sewing supply store), insert the flag tops into the centre of the folded tape and sew close along the bottom edge of the tape. Did you re-imagine any of your Christmas traditions this year?